While many companies have returned to Libya since the ouster and subsequent death of long-time leader Muammar Qaddafi, one company is exiting, Royal Dutch Shell. Shell is the first company to announce its exit from the North African country. Shell "intends to suspend and abandon drilled wells and stop exploration in [its] Libyan licenses," a company spokesman said in a Dow Jones Newswires report. Despite its exit Shell insists that is still interested in the country however, it also said that its exploration results prior to the outbreak of hostilities were less than encouraging. "Results [prior to the war] have been disappointing and further exploration cannot be economically justified," the spokesman said. The news of Shell’s exit comes at the same time as BP reports that it will resume its exploration activities in the country. LONDON (MarketWatch) -- Libya's oil output has now returned to about 90% of its pre-war level, the country's deputy oil minister said Tuesday. Speaking to Dow Jones, Omar Shakmak said production of crude oil and condensates had now reached 1.6 million barrels a day. That compares to 1.7 million barrels a day before the civil war that toppled strongman Moammar Gadhafi. Shakmak said production was expected to be fully restored "in the beginning of the third quarter, hopefully." He said the swift recovery had been achieved despite the absence of many key foreign workers. Only 45% of staff at foreign services companies have returned, he said. Crude oil from the West has begun moving across Maine -- not by pipeline, as some environmental activists fear it will someday; but by railroad. Brunswick. It rolled through Portland, Waterville and Bangor on Pan Am Railways tracks, on its way to Canada's largest oil refinery. 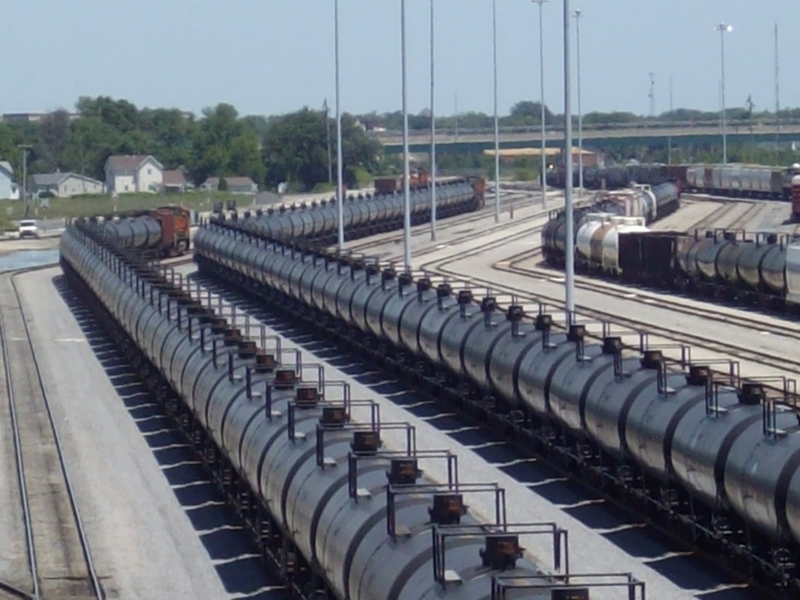 This so-called unit train -- made up only of oil tank cars -- is an example of how Irving and other energy giants are reacting to a fast-changing North American petroleum market, and how Maine figures into the developments. "I think we're going to be seeing more of this," said Tom Hall, a former assistant general manager for Pan Am Railways in Maine. New technologies and high global oil prices have made it economical for energy companies to develop mammoth petroleum reserves in North Dakota, as well as the Canadian province of Alberta. The challenge is getting all the oil to refineries across North America. The easy-to-refine oil in North Dakota is locked up in shale formations and is released by injecting pressurized water and chemicals, a process called fracking. 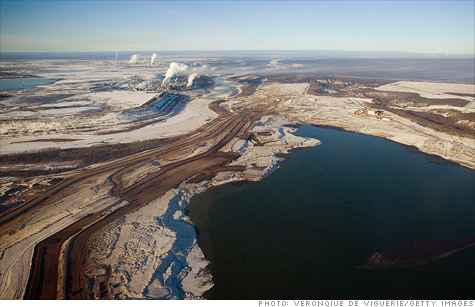 In Alberta, a similar process is used to free heavy, tar-like oil located in sand formations. Both methods are under fire, in part because they can pollute groundwater. Growing controversies and delays in building new pipelines or reversing the flow of existing ones to move this oil, are threatening production goals and export plans. That has created an unexpected opportunity for railroads, which see a void. They're building loading facilities and adding tank cars to compete with pipelines for a piece of the evolving business. Maine's freight railroads stand to benefit as well. They're upgrading service to handle an expected increase in traffic to Saint John. The first big shipment was made over the weekend. Each of the 104 cars carried roughly 700 barrels of oil. The train traveled through Chicago to Rotterdam Junction, N.Y., where it moved over Pan Am Railways track through southern and eastern Maine and connected with the New Brunswick Southern Railway for the trip to Saint John. The train was photographed as it crossed the Merrimack River in Massachusetts by Kevin Burkholder, the editor of Eastern Railroad News. 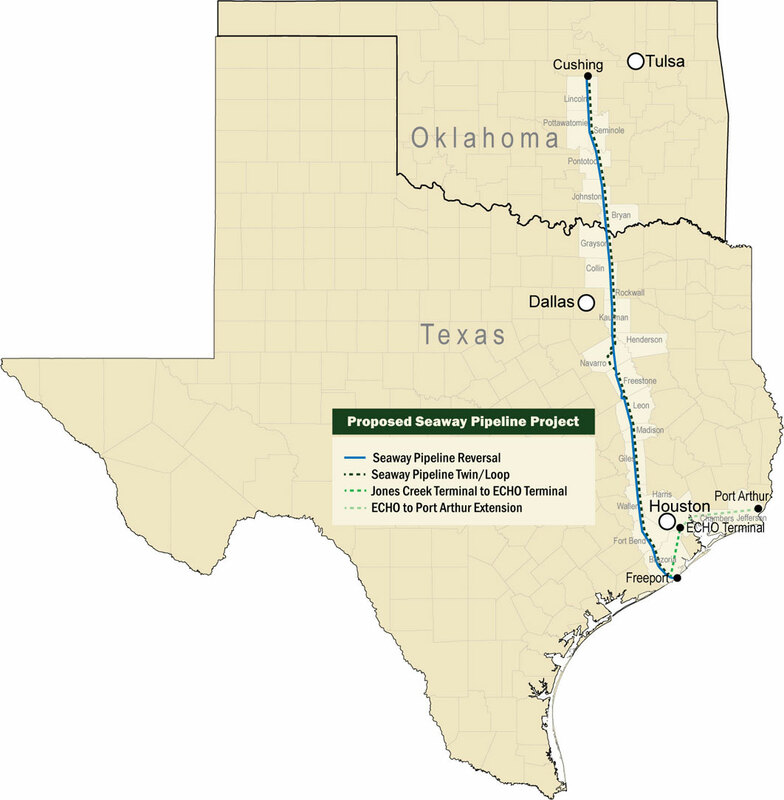 "Deemed a test train, this is the first of what could be a steady flow of the rolling crude oil pipeline to feed the Irving refinery," Burkholder wrote last weekend in his newsletter. Pan Am has been improving its tracks and adding locomotives and crews, making it a player in the growing crude-oil competition, according to Hall. Pan Am operates one of three possible rail routes that can get crude to Saint John. Canadian National Railroad has another, which skirts Aroostook County and stays north of Maine. A third goes through Jackman, Greenville and Brownville Junction to reach New Brunswick via the Montreal, Maine and Atlantic Railway. "Irving's going to go with whoever does the best job at the best price," Hall said. The prospect of steady oil shipments has led Montreal, Maine and Atlantic to announce that it will double the frequency of its service from three to six days a week between Montreal and Brownville Junction. The new schedule will begin after a strike at Canadian Pacific is resolved, according to Ed Burkhardt, MMA's board chairman. Price is driving Irving's thirst for Bakken oil, Burkhardt said. Irving's refinery, which has a capacity of 250,000 barrels a day, primarily receives its supply via tankers from Venezuela, the Persian Gulf and the North Sea. However, overseas oil now is roughly $20 a barrel more expensive, so it's cost-effective to move some of the supply thousands of miles by rail. "Rail can land oil at Saint John at a better price than by sea," Burkhardt said. The most immediate factor that could limit business is the availability of tank cars, which are in great demand nationally, Burkhardt and others say. It takes roughly six days to go from North Dakota to New Brunswick, plus offloading time. If rail delivery grows, it could help Maine's struggling freight railroads and the shippers that depend on them, according to Chop Hardenbergh, editor of Atlantic Northeast Rails & Ports. That could help improve service to Maine's paper mills and attract new shippers, he said. "It certainly helps our railroads and our overall economy," Hardenbergh said. Commerce aside, the trend has caught some of Maine's environmental activists by surprise. They oppose the methods used to extract this petroleum -- especially the so-called tar sands oil from Alberta -- saying they are highly polluting. In Maine, activists suspect that the Portland Pipeline Corp. will want to reverse the flow of its system, which moves crude oil west from Portland Harbor to Montreal, to send tar-sands oil east. The company has said it has no current plans to do that. Environmental activists oppose tar-sands oil for two main reasons. They say the more-corrosive nature of the oil poses a greater risk of pipeline ruptures, and they point to a large spill in Michigan in 2010 as evidence. Spills appear to be less of an issue with rail transport, however. Tank cars are typically double-lined and made of hardened steel to survive a derailment. However, staff members at the Maine Chapter of the Sierra Club and the Natural Resources Council of Maine both say fracking and tar-sand extractions are unsustainable, dirty technologies, whether the product is moved by rail or pipeline. "We don't want to see that supported in any way," said Glen Brand, a spokesman for the Sierra Club. "We don't want to see it moved to market." Small quantities of tar-sands oil already have rolled across Maine. Bob Grindrod, president of Montreal, Maine & Atlantic Railway, said his line handled a small, test delivery destined for the Irving refinery a few months ago. The potential to move more depends on the cost and how hard it is for Irving to refine the thick oil, he said. Irving Oil rarely discusses its business practices, and it didn't respond to email questions from the newspaper; but Grindrod said he's aware that the refinery is ramping up its crude offloading capacity from two cars a day to 100 cars, whether it comes from the Canadian tar sands or the Bakken field. "They are investing rather heavily," he said. Ghana Oil Company Limited (GOIL) has re-branded its image to meet the challenges of the oil marketing industry in the country. The new logo centered round the letter “G” with wind vanes in various shades of orange rotating anti-clockwise, with “GOIL,” and “Good Energy” written below in grey seeks to present a dynamic action oriented company. Mr. Kojo Bonsu, a member of the GOIL Board of Directors explained that, as the leading indigenous oil company, GOIL is placing itself in readiness to compete effectively in the industry. GOIL was incorporated as a private limited liability company on June 14, 1960 as AGIP Ghana Company Limited with the objective of marketing petroleum and related products particularly fuels, liquefied petroleum gas (LPG), lubricants, bitumen, and other specialized products in the country. The Government of Ghana in 1974 acquired the shares of AGIP SPA and Hydrocarbons International Holdings in AGIP Ghana Company Limited. By a special resolution in 1976 the name of the Company was changed to Ghana Oil Company Limited. Mr. Chris A. Ackummey, Acting Managing Director of the company, said GOIL has the largest retail network with numerous consumer outlets doted throughout the country; in addition, there are a number of other retail outlets established to market premix fuel and kerosene to rural areas. Other LP Gas filling plants have also been installed at some of the filling and service stations and at other locations in the country. He said GOIL’s philosophy is to continuously improve and provide varieties in terms of its products and service delivery through product differentiation in the region of fuel oils; it is about combining best breeds of additives with the normal fuel oil. Dr. Joe Oteng Adjei, Minister of Energy who launched the new logo and rebranded image said the government was committed to transforming the energy sector and lauded the effort of GOIL to set the pace in the oil sector and called for concerted efforts to move the rebranding agenda for attainment of the government’s “Better Ghana Agenda”. 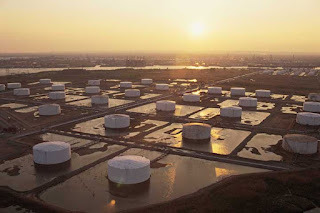 LONDON (Dow Jones) The reversal of the Seaway oil pipeline in the U.S. last week is set to have a wide-ranging impact on the oil market, changing global trade flows as U.S. demand for oil from Nigeria--a traditional supply hub--dwindles, analysts said Monday. China is paying billions for North and South American oil and other energy projects, including oil sands operations in Canada similar to the one above. Analysts say that should be good for all consumers. NEW YORK (CNNMoney) -- Eager to feed its growing energy appetite, China's worldwide buying binge for oil and other energy assets is spreading to North and South America. Yet most analysts say China's newfound interest in American energy may actually be good for U.S. consumers, as it will likely increase oil and gas supplies worldwide and possibly lower prices. Big deals: Earlier this month, reports said PetroChina (PTR) is close to buying an old refinery on Aruba owned by American refining giant Valero (VLO, Fortune 500). China is also said to be interested in building a pipeline to carry 300,000 barrels a day of Colombian oil to the Pacific Coast, according to a recent Eurasia Group note. These deals come on the heels of some other major energy acquisitions. They include CNOOC (CEO)'s purchase of a $2 billion stake in Chesapeake's Texas oil fields in 2010 as well as CNOOC's $2 billion purchase of Canadian oil sands operator OPTI Canada in 2011. Also in 2011, China National Petroleum Corp. paid over $5 billion for a joint venture in Canadian shale gas properties held by Encana (ECA), and Sinopec (SHI) put down $7 billion for a share in Brazil's deepwater oil assets. An insatiable appetite: The acquisitions are being driven by a basic need for energy. China currently consumes about 10 million barrels of oil a day -- roughly half of what the United States uses. Like the United States, China imports about half the oil it needs. But unlike the United States, where oil demand is flat or declining, demand in China is expected to jump 50% by 2020. "They have to get as much as they can from where ever they can," said David Fridley, a staff scientist at the China Energy Group at Lawrence Berkeley National Laboratory. "Going to the Americas gives them a legal and political regime that ensures stability." Much of China's energy and natural resource buys have been in unstable places -- Southeast Asia, the Middle East, Africa. The Americas region is arguably much more stable than any of those regions. That's an attractive prospect for a country that relies on a steady flow of resources. The Americas are also in the midst of an energy boom. From oil sands production in Canada to shale gas in the United States to promising deepwater finds off Brazil, the Americas are quickly becoming an energy powerhouse. Raising suspicions: As with most major-power forays into the Western Hemisphere, interest in the region's resources by an outside country is bound to produce some unease in the United States. But analysts say any increase in global energy production, whether it's by a Chinese firm or a company from any other country, should lower oil prices for everyone. "The popular impression is 'oh, China is poking its head into our businesses,'" said Fridley. "But it makes everyone's pie bigger." Al Troner, a former scholar at the East-West Center who now heads Asia Pacific Energy Consulting, said China's interest in Western Hemisphere refineries shows that it will likely make gas, diesel fuel and other products available for the global market. China's oil companies, he said, aren't simply interested in sending supplies back home to China, but rather using their partnerships in the Americas to become truly global oil firms that can compete with the likes of Exxon Mobil (XOM, Fortune 500), BP (BP) or Royal Dutch Shell (RDSA). "This is not some insidious 1960s plot to destroy the Untied Sates," said Troner. "If they can increase supply as well as demand, then what's the loss for anyone?" 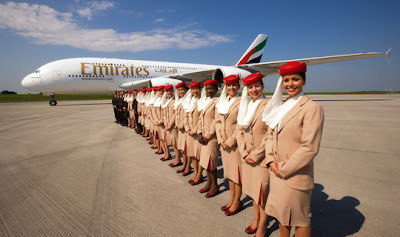 Emirates Group, the parent group of the Middle East's largest air carrier, spent AED24.3 billion (€5.1 billion) on jet fuel during the 2011-2012 financial year. This is 44.4% more than last year. The soaring price of fuel saw Emirates' operating costs rise from 16.2% in 2010-2011 to 24%, forcing it to implement fuel surcharges earlier this year. And while the airline's revenue rose by 14.9% to an AED62.3 billion record high during the 2011-2012 financial year, jet fuel prices impacted its bottom line; its profit fell by 72.1% to AED1.5 billion. In a press release Sheikh Ahmed bin Saeed Al Maktoum, chairman and CEO of Emirates Airline and Emirates Group, said the group is currently facing 'challenging economic times' with the 'volatile exchange rates, coupled with our highest ever fuel bill'. A study by the Department of Aeronautics and Astronautics at the Massachusetts Institute of Technology (MIT) has shown up both positives and negatives in the introduction of ultra-low sulphur fuel for aviation. Modelling showed that desulphurising jet fuel would improve air quality potentially preventing between 1,000 – 4,000 deaths globally a year, but it would also reduce the formation of cooling sulphate particles which currently offset some global warming. It would also cost the global aviation industry $1-4 billion (£0.63-2.5 billion) per year - ¢2-7 per gallon of jet fuel - which equates to an increase in the cost of jet fuel of around 2%. 'Overall, desulphurising jet fuel would reduce aviation's impact on public health by perhaps a quarter, but may increase its climate impact by about a tenth,' says the department’s lead author Steven Barrett. 'If you compare the costs and the benefits they come out as being broadly even in our analysis. The European Aviation Safety Agency (EASA) and the US Federal Aviation Administration (FAA) have recently sponsored studies into ultra-low sulfur jet fuel standard (15ppm) and the FAA wants to half aviation's serious health impacts by 2018, relative to a 2005 baseline. ABUJA/LAGOS (Reuters) - A new draft of Nigeria's long delayed oil bill, whose passage is needed to unblock billions of dollars of stalled investment into exploration and production, will be finalized this week, sources close to the matter said on Thursday. A copy of the 200-page Petroleum Industry Bill (PIB) obtained by Reuters includes plans to partly privatize and list the state oil firm, tax oil company profits at 20 percent for deep offshore and 50 percent for shallow or onshore, and give the oil minister supervisory powers over all institutions in the industry. Current oil firm profit taxes are not published. A spokesman for Nigeria's leading operator Shell said he did not know what current tax rates were. The PIB has been years in the making and the delays have caused uncertainty over the future framework of working in Nigeria, costing the industry billions of dollars of potential investment and the government much-needed revenues. 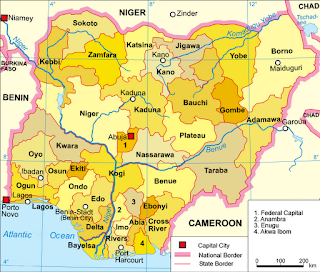 Without it, most analysts expect oil production in Nigeria to decline substantially over the next few years. 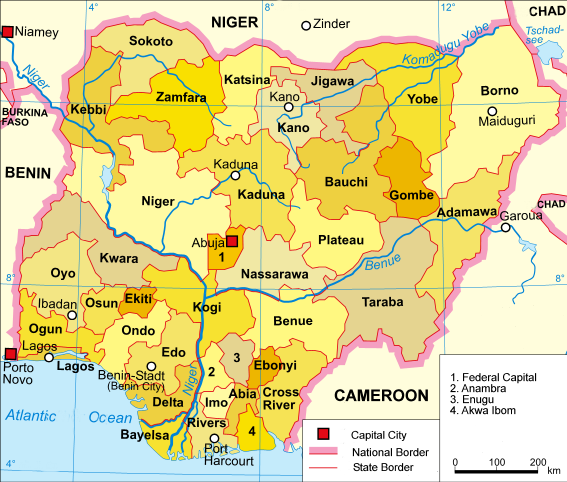 Nigeria exports more than 2 million barrels a day (bpd) of crude oil popular with U.S. buyers because it is light and easy to refine. China and India are also growing takers of Nigerian crude. Even when this version gets to parliament, there is no guarantee lawmakers will push it through, as powerful vested interests could block or delay it, as has happened in the past. President Goodluck Jonathan is explicitly behind this version, and it was drawn up by a taskforce of senators his administration appointed, but even though his party has a majority in both houses of parliament it could still stall. The bill as drafted would also roll Nigeria's various regulatory bodies for upstream and downstream into one, and give Oil Minister Diezani Alison-Madueke power to pick who runs it. Placing all institutions concerned with oil under her supervision may upset those who hoped the bill would curb her already substantial powers. Previously the downstream regulator was independent of the ministry. 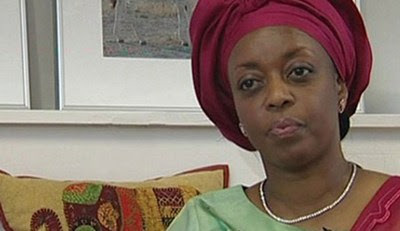 Alison-Madueke signed a 20-year oil license in February with U.S. oil giant Exxon on one of Nigeria's largest oil assets, which produces over 500,000 barrels per day, but the terms were kept private. This license renewal comes despite the minister saying for years that the delay to the PIB was holding contracts like these up. Alison-Madueke said this week that similar renewals with Shell and Chevron would be signed by June. It is not clear whether those licenses include exemptions from any change of terms brought about by the new PIB. Crude oil futures extended declines after the U.S. Energy Department said stockpiles rose to a 22- year high. Supplies climbed 883,000 barrels to 382.5 million barrels. Inventories were forecast to gain 1.65 million barrels, according to the median of 12 analyst estimates in a Bloomberg News survey. Gasoline inventories fell 3.3 million barrels to 201 million last week, the Energy Department said today. Stockpiles were forecast to slip 650,000 barrels, according to the median of 12 analyst estimates in a Bloomberg News survey. Distillate supplies, which include heating oil and diesel, fell 309,000 barrels to 119.5 million. Stockpiles were estimated to decrease 500,000 barrels. Crude oil for July delivery fell $1.37, or 1.5 percent, to $90.29 a barrel at 10:40 a.m. on the New York Mercantile Exchange . Oil traded at $90.71 a barrel before release of the inventory report at 10:30 a.m. in Washington. Oil also fell as European Union leaders are gathering in Brussels tnnight to discuss the euro-region's debt troubles and after Iran agreed to grant access to United Nations nuclear inspectors. The summit is the 18th since Greece was convulsed by debt and the first since an anti-austerity campaign carried Francois Hollande to France's presidency. German Chancellor Angela Merkel is facing calls for measures she opposes, including euro bonds, the use of European money to recapitalize banks, a bigger rescue fund and extra time for debt-swamped countries to cut spending. "The moves in just about all the markets are related to what's going on in Europe," said Phil Flynn, an analyst at futures brokerage PFGBest in Chicago. "There's a little bit of optimism that the Iran talks will succeed." The International Atomic Energy Agency will be given access to Iran's Parchin military complex, Director General Yukiya Amano said yesterday. World powers resumed talks with officials from the Islamic republic in Baghdad today. Iran is suspected by the U.S. and its allies to have worked on the trigger for an atomic bomb at Parchin. The Baghdad talks between Iran and the U.S., U.K., France, Russia, China and Germany follow an April 14 gathering in Istanbul where the sides failed to produce an accord. Discussions last month were described as "constructive." The talks will extend into a second day tomorrow, Iranian state-run Press TV reported without saying where it got the information. The Ghanaian government has taken back full ownership of the Tema shipyard. The government reclaimed the 60% share it sold to the Penang Ship Building Co. of Malaysia. Koku Anyidoho, director of communications at the Office of the President, told journalists in Accra, "The decision to urgently salvage such a Strategic Asset was taken in the supreme interest of Ghana, especially at a time that oil and gas have been discovered in commercial quantities, and with sea traffic moving heavily in the direction of Ghana." It took the government almost three years to negotiate the cancellation of the Joint Venture Agreement (JVA) with Penang. Ghana’s Cabinet has put its final seal on the negotiated settlement. According to reports the shipyard has been mismanaged for years. Anyidoho said he foresaw that the future of operations at the Tema Port would be more vibrant as the restoration of full ownership to Ghana would attract more vessels coming to dock and berth at the Tema Port. The reclamation would also allow for expansive retrofitting and attract more of Ghana's expertise in the oil and gas industry, as well as the maritime industry. ALBANY, N.Y. (AP) -- When Dan Fitzsimmons looks across the Susquehanna River and sees the flares of Pennsylvania gas wells, he thinks bitterly of the riches beneath his own land locked up by the heated debate that has kept hydraulic fracturing, or fracking, out of New York. "I go over the border and see people planting orchards, buying tractors, putting money back in their land," said Fitzsimmons, a Binghamton landowner who heads the 70,000-member Joint Landowners Coalition of New York. "We'd like to do that too, but instead we struggle to pay the taxes and to hang onto our farms." While New York state has had a moratorium on shale gas development for four years while the Department of Environmental Conservation completes an environmental impact review, thousands of wells have gone into production in Pennsylvania. Both states, along with Ohio and West Virginia, overlie the vast Marcellus Shale deposit, which has been made productive by the advent of horizontal drilling and fracking. In the middle of the debate over whether the gas unlocked by fracking is worth the risks of drinking water contamination and adverse health effects are the landowners who must decide whether to sell their mineral rights. Many are dairy farmers and many struggle under heavy debt. While Fitzsimmons and others in his coalition look south and see the land of milk and honey, other farmers point to Pennsylvania as a case history for how the shale gas boom can be disastrous to agriculture. Pennsylvania dairy farmers Carol French and Carolyn Knapp travel to other shale gas states giving talks on gas drilling. They tell of methane-contaminated wells; contractors destroying valuable timber for access roads; pipelines making cropland inaccessible; years of agricultural production lost and uncompensated; road damage that isolates families for weeks. "I never in my wildest dreams envisioned the industrialization that comes along with this process," Knapp told an audience in Pittsboro, N.C.
Siobhan Griffin, who raises grass-fed cows in Westville, N.Y. and sells organic cheese, doesn't see gas as the answer. Rather, she fears for her cows if drilling comes to neighboring leased land. She points to Pennsylvania, where 28 cows were quarantined from sale after they drank wastewater, and Louisiana, where 17 cows died after drinking contaminated water. Pennsylvania environmental regulators cited East Resources with a violation in 2010 in connection with the state Agriculture Department's quarantine. Louisiana's Department of Environmental Quality fined Chesapeake Energy and Schlumberger Technology $22,000 each in connection with the 2010 cow deaths. "I can't blame dairy farmers for signing," Griffin said, "because of the cheap food policy in this country. Farmers are stuck in the middle. They don't make enough margin to pay their bills." While conventional dairy farms struggle, sustainable agriculture is growing, thanks to demand from New York City. Ken Jaffe raises grass-fed beef in the western Catskills and sells it to co-ops and high-end restaurants in the city, 160 miles to the southeast. He said gas drilling could destroy the livelihood of thousands of small farmers who cater to that market. The Park Slope Food Cooperative, which buys upward of $3 million worth of products from upstate farms, has told farmers its members won't buy products from any area that allows fracking, because they fear contamination. Chefs for the Marcellus, a group of restaurateurs, is calling for a ban on fracking. Members of the Northeast Organic Farming Association of New York passed a resolution in January calling for a ban on fracking. But the 30,000-member New York Farm Bureau supports natural gas development "as long as it can be done safely," said spokesman Jeff Williams. "We've been working with DEC to get them to craft the strongest regulations in the nation." Landowner coalitions say they're not relying solely on the state to protect their land, but have built extensive protections into their leases. "I turned down an offer of $700,000 because the lease was really bad," said Jim Worden, who raises cows, corn, soybeans and oats near Binghamton. "We won't sign a lease that jeopardizes our family's future. It's not so much about money as about protecting yourself and the environment." Fitzsimmons and other coalition members traveled to Albany recently to proclaim the rights of landowners to profit from their mineral resources and seek a halt to a growing movement of local drilling bans. 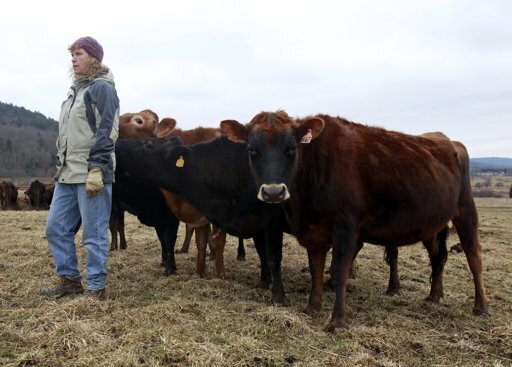 Dairy farmer Jennifer Huntington in Otsego County sued the town of Middlefield over one such ban because it prevented a planned conventional gas well on her land. A judge upheld the ban but Huntington plans to appeal. "We would have used the royalties to update the anaerobic digester that we installed in 1984," Huntington said, referring to technology that produces methane fuel from manure. "We would have purchased a better oil seed press to more efficiently press soybeans for biodiesel. We would have invested in our farm, our land, and our employees." With gas prices at record lows, Worden doesn't expect drilling to expand rapidly in New York even if the DEC decides to allow fracking. If he can't profit from gas, he said he'll find another way to make ends meet. "It's a struggle, you know, but you just do what you need to do," Worden said. "You sell some trees, do firewood, or do some work for somebody else. Same as we always have." ExxonMobil (XOM) is an easy company to hate. As the world's largest publicly traded oil and gas company, it's hard not to blame it for the pain we experience at the pump -- particularly when you consider how much money it makes. If it were a country, its 2011 revenues of $486 billion would have placed it 20th in terms of GDP, ahead of Poland, Sweden, and Argentina, just to name a few. Yet, like the bully who mistreated you in primary school, ExxonMobil is widely misunderstood. While many of its unsavory habits are common knowledge, it also has a naive and sensitive side. You just have to get to know the company to understand where it's coming from. 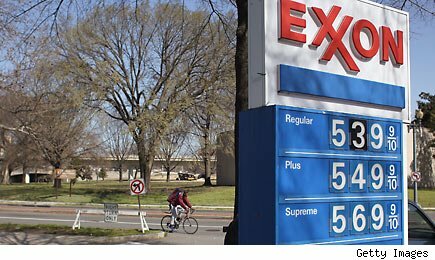 Aside from the founding of giant Standard Oil in 1870 and its court-mandated breakup 40 years later -- which created the offspring that would become both Exxon and Mobil -- there are two events in ExxonMobil's history that shape its present condition more than anything. The first was the crash of the Exxon Valdez oil tanker in Alaska's Prince William Sound in 1989. And the second was the 1992 kidnapping and killing of Sidney Reso, then-vice president of international operations for Exxon. These two events affected Exxon's internal machinations more than most outsiders ever knew -- until now. Pulitzer Prize-winning author Steve Coll gives us a glimpse into the energy giant's reaction to these events in his recent book, Private Empire: ExxonMobil and American Power. Time Out for a Safety Minute! The Exxon Valdez incident ignited a fervent obsession with safety and risk, Coll reports. So focused on safety is the company now that every meeting at every office begins with a "safety minute." During this "safety minute," a randomly chosen employee speaks about one safety issue or another -- no matter how minuscule. Some examples: the failure to turn off a coffeepot in the employee break room, or the unusually high incidence rate of paper cuts among the office staff. Additionally, employees are required to back their cars into parking spaces, a measure meant to speed up evacuations in case of emergency. Even employees conduct at home is eligible for scrutiny. The proper way to use a ladder when cleaning gutters might be discussed, or the dangers of getting too much sun on a beach vacation. The incident involving Reso spurred an equally intense fixation on the security of the company's senior executives. Anyone who ascends to the top of ExxonMobil's corporate hierarchy now enjoys a personal protection regime similar to that of an American presidential candidate or holder of high national office. 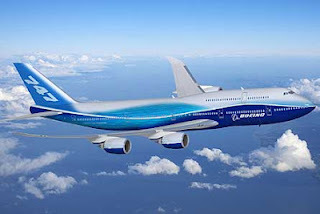 Its chief executive officer is prohibited from flying commercial, and is obligated instead to choose among the company's multiple luxurious jets for both personal and professional travel. While ExxonMobil makes for a perfect corporate villain, who would have guessed that a swashbuckling energy giant would be obsessed with things such as sunburns, paper cuts, and coffeepots? Perhaps it's true that we shouldn't judge a book, or in this case an oil company, by its cover. Somali pirates have seized an oil tanker off the coast of Oman in the Arabian Sea. According to reports the Greek-owned, Liberian registered, tanker was carrying 135,000 tons of oil when it was seized. The tanker is reported to be heading for Somalia. The tanker is thought to have a crew of about 15 on board. The International Maritime Organization says that 17 ships and close to 300 crew are currently held by Somali pirates. Pirates boarded Dynacom’s Liberian flag Suezmax ‘Smyrni’ on Thursday some 430 miles northeast of Yemen’s Socotra Island, Jacqueline Sherriff, a EUNAVFOR spokeswoman confirmed by phone to Bloomberg. “They are on board the vessel with guns,” Ody Valatsas, Dynacom Tankers Management chartering manager, said by email, declining to comment further. The vessel was laden with 135,000 tonnes of crude oil reportedly loaded at a Turkish loading terminal. Dynacom Tankers Management said in a statement that it was working with the relevant authorities. 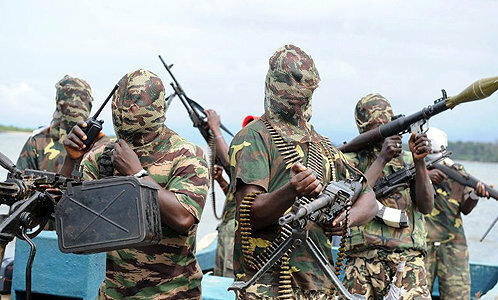 In another incident, an Aframax escaped on Wednesday from pirates armed with rocket-propelled grenades and AK-47 assault rifles off the Somali coast, IMB spokesman, Cyrus Mody, told Bloomberg. Elsewhere off West Africa, West African pirates freed the hijacked LR1 ‘BW Rhine’ last Friday, but not before stealing some of her cargo of gasoline. BW Maritime spokesman Nick Fell told Reuters that the company thought that the tanker had been taken for its gasoline cargo, which was worth millions of dollars. "We believe that was the purpose. Some of the cargo has been stolen," Fell told Reuters. All 24 crew members were reported safe, he added. The BW Rhine was seized from an anchorage off Lome, Togo on 28th April, the first incident of its kind near the country's capital, BW Maritime reported. Three of the crew members, as well as the captain, were Indian, while the rest of the crew were Filipino, or Chinese, including some from Hong Kong. ‘BW Rhine’s’ gasoline was owned by the Swiss-based trading house Vitol, according to industry sources. It was thought that the LR1 was loaded with about 60,000 tonnes of gasoline and with spot prices currently well over $1,000 per tonne, the entire shipment could be worth more than $60 mill. Sri Lanka was forced to refuse a delivery of jet fuel on 8 May after it was found to be contaminated. Of the 20,000 tonnes of jet fuel delivered by BP from Singapore, 7,500 tonnes had been contaminated and were deemed unusable. The fuel arrived in two containers. The contaminated product was identified following standard quality assurance tests at the port. However, the nation's Ceylon Petroleum says the contaminated fuel can be used as kerosene after it struck a deal with BP to buy it for this purpose. Sri Lanka's Minister of Petroleum, Susil Premjayantha, asked Ceylon Petroleum to submit a report on the contaminated fuel. The unaffected 12,500 tonnes of fuel met all specifications and is to be used as aviation fuel. Nigeria’s fuel regulator, the Petroleum Products Pricing Regulatory Agency (PPPRA), has suspended Nimex Petroleum for failing to provide documents for shipments. The suspension could be seen as the government stepping up its efforts to crack down on subsidy graft. Nimex Petroleum confirmed PPPRA had suspended its activities in Nigeria in a letter dated May 3 over missing documentation relating to the delivery of two shipments of around 10,000-12,000 tons of gasoline, a Reuters report said. At current spot market prices, the subsidy payment due for the shipments in question is worth around $10 million. Nimex, a Swiss firm, said copies of documents had been sent to the PPPRA rather than originals as requested because the Nigerian banking system was holding the original papers as credit until the subsidy payment was received. "The originals are in the banking channel," Nimex's general manager Oliver Hess told Reuters, adding the bank would hold the documents until the regulator had paid out the sum due for the shipments. But the bank would not release the original documents until the regulator had paid the subsidy, Hess said, creating a situation in which the oil firm was going around in circles to obtain the missing documentation requested. DORE, N.D. (AP) — For more than three decades, Kerry and Darrell Finsaas were all that kept this blink-and-you-miss-it North Dakota community from becoming completely deserted. As Dore's only residents, they lived in a ghost town on the desolate northern Plains. But now the couple has neighbors — and lots of them. The all-but-forgotten former farming village has been reborn as a hub of oil activity. And it may not be the last abandoned settlement to be resurrected from the dust. "We knew it was inevitable," Kerry Finsaas said of the oil boom that has enveloped the region. "We're making the best of it, but it doesn't mean we like it." Like many farm-dependent communities throughout the nation, Dore fell victim to changing agricultural practices and a harsh rural economy. By the early 1960s, the town on the state's far western edge, near the confluence of the Yellowstone and Missouri rivers, was largely vacant. Most residents had either moved away or died. One of the final blows came in the mid-1970s, when Dore lost its ZIP code. Since then, most surviving buildings have been leveled by bulldozers, weather and time. About all that remains is an empty grain elevator standing tall over the prairie — a lonely memorial to earlier times. These days, a century after its founding, the area is abuzz with development. Oil rigs drill in the distance, and mile-long tanker trains are topped off with crude here before heading to markets on the East, West and Gulf coasts. Dozens of campers and trailers have popped up on the nearby prairie, and hundreds more improvised dwellings are expected to take shape to house oil workers. Dore's economic and population turnaround began in 2008, when Houston-based Musket Corp. purchased land at the old town site for its oil loading facility, which uses railroad tracks that once moved grain and sugar beets to market. "Logistically, that's where the rail configuration was that we needed," Musket spokeswoman Kyla Turner said. Crude from North Dakota's rich oil patch comes to the facility by truck and pipeline before leaving by rail. The company has been sending small shipments over the past two years but intends to raise production to 70,000 barrels a day this spring, Turner said. The operation will employ about 45 workers, nearly equal to Dore's population in its heyday. At its zenith in the 1930s, Dore never had more than 50 or so residents, Kerry Finsaas said. But the town boasted a general store, a school, dance hall, bars, restaurants — even a hat-making shop. "It was quite a going concern at one time," said Romana Raffaell, who grew up near Dore and worked at a store there in the late 1950s. She now lives in Sydney, Mont., about 20 miles south of Dore. "It wasn't long after that the town died," she said. "And what's happening now is not exactly a rebirth — all you find there is a bunch of oil tankers and a lot of people of every size, shape and color. There is nothing recognizable about Dore because Dore doesn't exist anymore." Harry "Bubba" Stelter moved to Dore this spring from Las Vegas, without ever knowing the town existed. No signs welcome visitors, and the name has been omitted from most maps. Stelter, along with two business partners and their families, moved to the area in late March and opened a barbecue restaurant five miles away in Fairview, Mont. The barbecue business is thriving, feeding workers from around the globe who have come to North Dakota's oil patch for work, he said. "The whole world is following the money to North Dakota," Stelter said. "I'm like a tick on a hound dog — I'm not going anywhere." North Dakota, which had suffered decades of declining population, was the only state that lost residents in 2003, according to the Census Bureau. But since 2006, it has surpassed a half-dozen states to become the nation's No. 3 oil producer. State officials estimate North Dakota will surpass Alaska and will trail only Texas within a year. The state's population is at record levels and its unemployment rate is the lowest in the nation, a turnaround attributed to the oil boom. Merl Paaverud, superintendent of the State Historical Society of North Dakota, said other abandoned towns in the oil patch may come back to life. "People are scrambling and trying to find places to live," he said. "A lot of these farming communities are gone, and if a number of them are revitalized, then that's great. But it's anybody's guess how permanent it will be." For the Finsaases, the solitude and elbow room are gone from the once-quiet place where they raised three children. Traffic along the two-lane highway that passes by their home has grown from a couple of vehicles an hour to hundreds. Waste gas from the rail-loading facility is flared a few hundred feet from the couple's home, emitting a constant roar and an eerie glow that comes through their windows at night. Kerry Finsaas grew up in Dore, but she and her husband now want to leave the commotion behind. They plan to move to a home just east of Fairview, on the North Dakota side of the border. While purchasing a for-sale sign for their home at a Fairview hardware store, a man recently offered to buy the couple's house without seeing it, said Darrell Finsaas, a retired utility worker. The sale of their old home is pending, and the pair has already picked out a new house adjacent to a cemetery. "We know our neighbors will be quiet there," Kerry Finsaas said. Oil and gas company Paloma Partners is being bought by independent international energy company Marathon Oil for $750 million (€580 million) in cash. 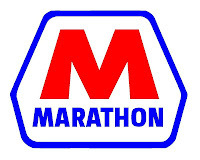 The acquisition will see Marathon take over the company's operations in the Eagle Ford Shale, Texas. 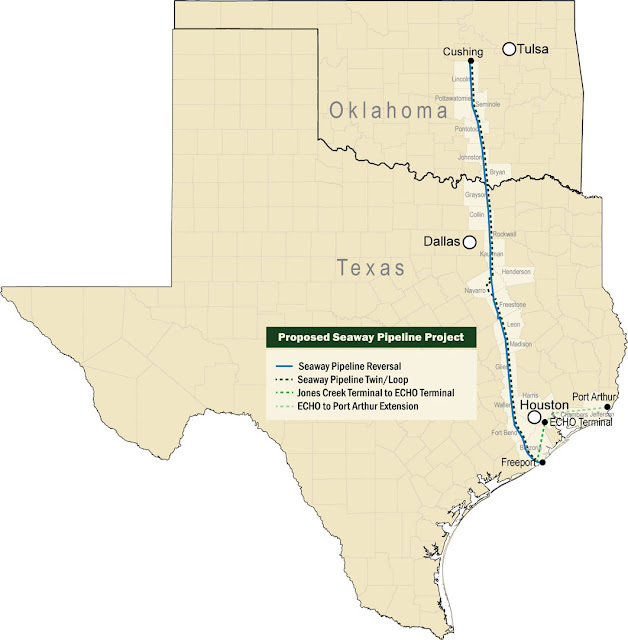 Paloma Partners owns around 17,000 acres of land in the counties of Karnes and Live Oak where it produced around 7,000 barrels per day of oil equivalent as of 1 April. The acquisition is expected to be finalised by Q3 2012. 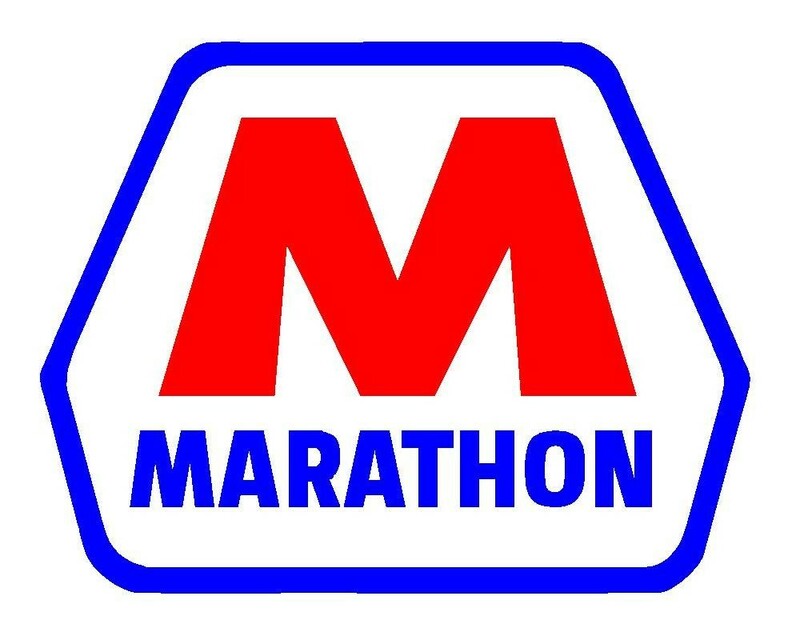 Houston-based Marathon recently announced that it is looking to invest $767 million in new projects located in the Eagle Ford Shale following the sale of assets in Alaska. These new ventures include the acquisition of 13 operational wells, in addition to nine more wells that have been drilled and are awaiting completion. 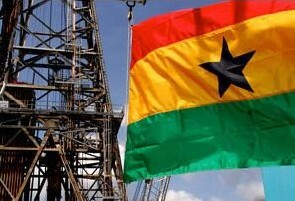 The Teak-4A appraisal well on Ghana’s West Cape Three Points Block was deemed a disappointment for the partners on the block. The well was targeting the stratigraphic extension of the Teak discovery area and encountered thin, non-commercial reservoirs and is being plugged and abandoned. Kosmos Energy, operator of the block, and its partners have begun integrating well results into the Teak field model to determine forward appraisal and development plans. The Atwood Hunter rig drilled Teak-4A to a total depth of 2,850 meters. Following the completion of operations at the Teak-4A well, the drilling rig will set gauges at the Teak-2A well and perform a drill stem test at the Akasa oil discovery on the West Cape Three Points Block. Kosmos Energy is partnered with Anadarko Petroleum Corp. Tullow Oil plc, Sabre Oil & Gas Holdings Ltd., and the Ghana National Petroleum Corp. The Singapore-managed LR1 ‘BW Rhine’ loaded with gasoline was suspected to have been hijacked by pirates while at anchor off Lome, Togo. Potengal Mukundan, director of the London-based International Maritime Bureau (IMB), told AFP international, warships and navies from neighbouring countries have been alerted and are searching for the ship, which has 24 crew members and was reported missing by the operators on Tuesday. Later, managers BW Maritime confirmed that the vessel was hijacked on 28th April off Togo. The status of the tanker, was not known, Nick Fell, Singapore-based general counsel for BW Maritime, told Bloomberg. The last contact the company had with the ship’s crew was on 30th April, he said. She was partially laden with refined fuel oil when hijacked. BW Maritime said that the company had been working with local navies to locate her. The tanker sailed to West Africa from Ventspils, according to ship-tracking data compiled by Bloomberg. Meanwhile, Mukundan, who was in Kuala Lumpur for a series of meetings with industry and government players, said in similar past cases the pirates would transfer the gasoline cargo to other ships and then sell it on. "Here we have criminal gangs whose main purpose is to steal multi-million cargo, which is gasoline, as it has a ready market. It is very easy to dispose of it. 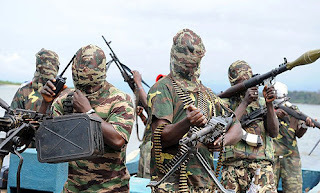 There has been an underground trade in the Gulf of Guinea for decades," he told AFP. Mukundan said that thus far this year, there had been 19 attacks off the Gulf of Guinea, West Africa, with two vessels hijacked. 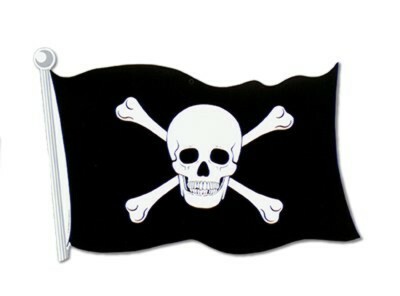 Some 42 crew have been taken hostage, two crew members killed and two kidnapped by pirates. He painted a grim picture for the rest of the year and warned the safety of seafarers continued to be threatened by pirates and urged vessel masters and owners to alert IMB of any incidents and of suspicious vessels, AFP reported. The Annual General Meeting of Shareholders of Koninklijke Vopak (Royal Vopak), the world's largest independent tank storage service provider, was held on 25 April 2012. The meeting passed a number of resolutions. These included the adoption of the financial statements for the 2011 financial year and the approval of the proposed dividend of €0.80 per ordinary share having a nominal value of €0.50 being distributed wholly in cash on 3 May 2012. Furthermore, from 27 April 2012, the shares of Vopak will be listed ex-dividend on Euronext Amsterdam. The (former Executive Board members' conduct of the company's as well as the Supervisory Board members' supervision exercised for the 2011 financial year, were discharged from liability and Mr F.J.G.M. Cremers and Mr M. van der Vorm were reappointed as members of the Supervisory Board a 4-year term. The Executive Board was authorized for a period of 18 months to acquire, (subject to the approval of the Supervisory Board), fully paid-up ordinary shares in Royal Vopak, on the stock exchange or otherwise, up to the maximum number that may be held by the company in accordance with the law and the Articles of Association in force at the date of acquisition. Lastly, PricewaterhouseCoopers Accountants were reappointed as the external auditor of the company.